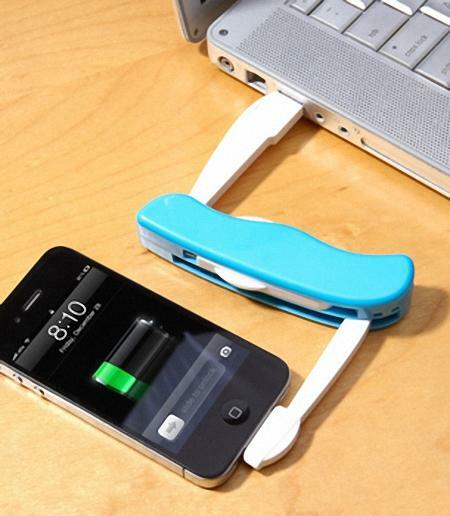 Sorry, you can’t use the folding knife-like tool to peel apples, but if you need to charge your mobile device like iPhone 4S, the utility charging cable kit will help you. This is a practical and portable charging cable kit that measures 4.25 x 1 inches. 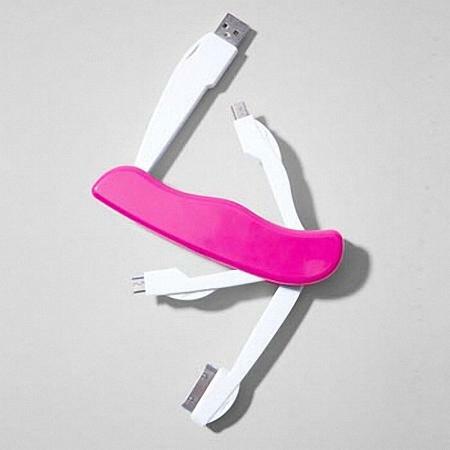 As we can see from the images, the kit is shaped as a folding multi-tool, but there is any blade or screwdriver in the plastic body, however, the USB charger comes equipped with a multi-use micro USB connector, a mini USB connector, and a 30-pin connector, you can simply plug it into your computer’s or AC adopter’s USB port and connect it with your USB-equipped mobile device for charging or syncing. 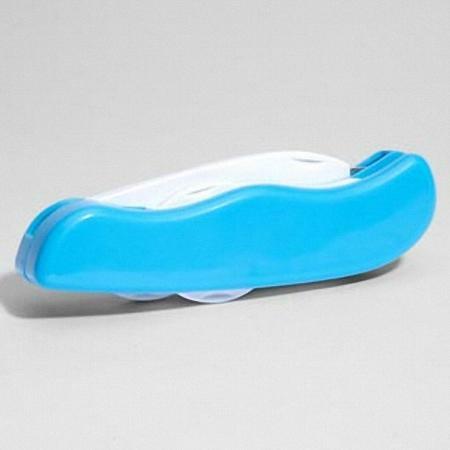 Apart from that, the foldable design allows you to take it anywhere with ease. The utility charging cable kit is available in three colors, each one is priced at $20 USD. If you’re interested, jump to fred flare for more details. I am looking to buy one of these utility charging cable kits for a black berry. Does one exist and if so where can I find it? You can directly purchase the kit from fred flare. The online store supports shipping to South Africa.